We’ll help inform and guide you on which are the best codes of practice to embrace, to meet your specific project goals. SBEM, a software tool developed by BRE (Building Research Establishment) that provides an analysis of a building’s energy consumption. SBEM is for non- domestic buildings in support of the National Calculation Methodology (NCM), the Energy Performance of Buildings Directive (EPBD) and the Green Deal. Currently used to determine CO2 emission rates for new buildings in compliance with Building Regulations, also used to generate Energy Performance Certificates. Feautured in the UK Government’s Low Carbon Action Plan, Ska Rating is an environmental assessment method, benchmark and standard for non-domestic fit-outs. Developed in association with Skansen, RICS and AECOM to provide a measure of the environmental impact of building refurbishment. Ska Rating helps landlords and tenants assess fit-out projects against a set of sustainable good practice criteria. 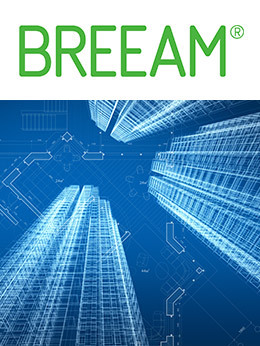 BREEAM sets the standard for best practice in sustainable building design. It encourages designers, clients and others to think about low carbon and low impact design, minimising the energy demands created by a building. We engage suppliers & contractors to deliver the most sustainable solutions. Encourage inter-supplier collaboration where possible to avoid extra costs such as ‘double-up’ transit costs and fuel.